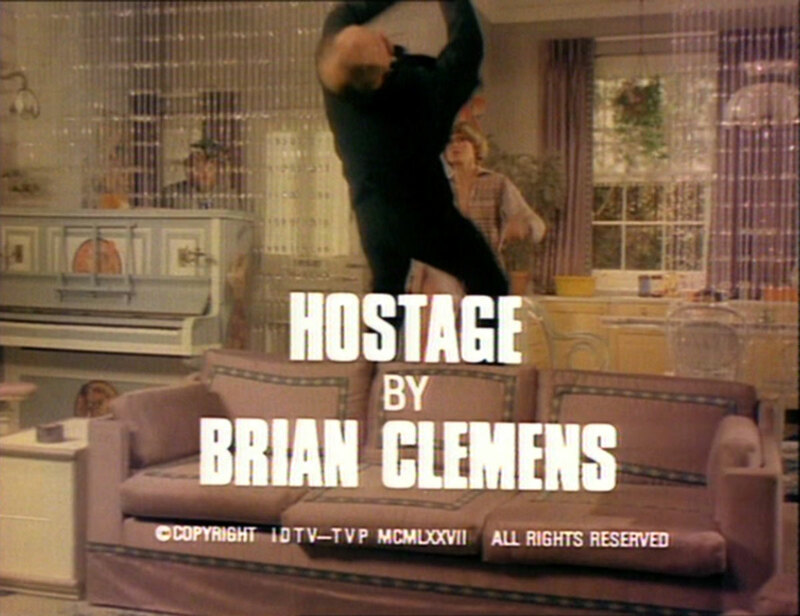 Steed and Gambit prepare for a formal dinner with an ambassador but Vernon (Richard Ireson) breaks in and steals Steed's revolver after they leave. The next day, Purdey plans to visit her mother and says goodbye to Gambit and another Ministry operative, Tony Spelman (Simon Oates) who hints to Gambit he knows Purdey's family better than he does. Outside, a car follows Purdey's TR7... meanwhile, Packer (Barry Stanton) and Vernon are waiting for her at her flat. She enters and knocks them about a bit but the timely arrival of Marvin (George Lane-Cooper) with a bottle of chloroform spells her defeat and she's carried off in a coffin, Vernon telling Packer to telegram her mother to conceal the kidnap. Later, Gambit easily defeats Spelman at karate while Tommy McKay (William Franklyn) and Steed look on; he challenges Steed to a bout but Steed says "I don't fight fair". McKay tells Steed there are whispers of a traitor in their midst (aren't there always?). Purdey comes to in an abandoned fun park and is menaced by Packer, Vernon and Marvin while Steed entertains his (ahem!) married lady friend Suzy (Anna Palk), who seems inordinately jealous of Purdey. He receives	a call from Vernon telling him Purdey's not with her mother and to look in his garage - where he finds her TR7. He is told to send Suzy away, and to tell no-one about Purdey - least of all Gambit - or Purdey dies. Steed challenges them unless he has proof she's safe and he's reassured by a cry of 'Steed!' before she's muffled. At the Ministry, McKay suspects the traitor is after the Full Allied Attack Plan in his keeping but Steed is miles away, worrying about Purdey; he asks Gambit and Spelman if they saw her leave and learns she must have returned home before doing so. He finds evidence of a struggle at her flat - and receives another call, telling him he'll find no clues and to deliver £5,000 to a known Eastern Bloc drop site. Purdey is insulted by the low sum but learns their plans are much greater. Another calls informs him they're sending the money back and to check his front door - where Suzy has picked up an envelope containing a lock of Purdey's hair. He brushes Suzy's dinner date offer aside and rushes to a rendezvous at a nearby 'phone box - under the back seat of his car is a reel-to-reel tape which tells him the money was a dummy run to test his co-operation; he is to steal the attack plans using a micro camera they've supplied him. He breaks in but Gambit hears him leafing through the documents and becomes suspicious after initially believing his 'checking McKay's diary' story. The gang are elated and to tighten the noose send the money back, delivered by the ringleader - Spelman! Walters (Michael Culver) meanwhile shows McKay film of Steed using the enemy post office and a discreet investigation is ordered. 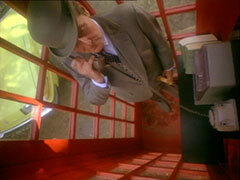 Steed is sent to another distant 'phone box and Walters pursues, picking up his incriminating mail on the way. Steed's told to lose his tail and return in an hour. He does lose him, but Marvin, dressed as Steed, is sent to kill Walters with Steed's revolver. 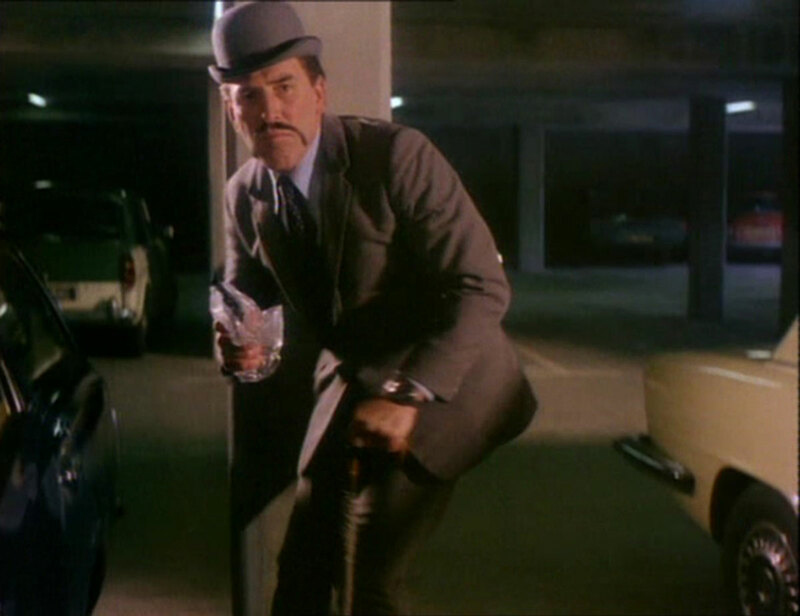 Walter's body is found and Gambit is ordered to tag him after he reveals Steed was in the office around the time of an unexplained opening of the safe. Steed prepares a small bomb made of fireworks while some Ministry heavies find his revolver at the crime scene and Gambit is ordered to bring him in. He confronts Steed as another call is made; Steed says they have Purdey but Gambit thinks he's bluffing, and takes a blow to the groin as reward. 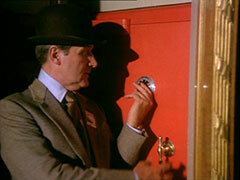 Steed sets off to meet Packer en route. Packer starts to open the envelope and Steed tells him he's put an incendiary inside - he'll defuse it if he's taken to Purdey. Spelman reveals they never wanted the plans, just to discredit Steed and throw British security into chaos - and Purdey and Steed will die. Gambit recovers and calls Purdey's mother, realising Steed was telling the truth; McKay tells him Spelman knew of the plans... Steed arrives and Spelman calls his bluff with the incendiary - just a 50p piece but Steed bluffs him again, saying they were tailed. The gang go to check as Purdey loosens her chains. Steed slips her the fireworks hidden in his bowler - she sets them off, making Spelman think he's being shot at and they escape. Spelman shoots at them and Steed returns fire with the PPK that was also concealed in his bowler (what a hat!). He takes care of Vernon but they're pinned down by Marvin and Spelman until Gambit arrives, scooting across the room in a Ghost Train car. Steed knocks out Spelman and Gambit defeats Marvin - after a lengthy and painful fight. Steed reveals he'd risked the real plans to save Purdey, then asks her to call Suzy and put her straight - she thinks he's inordinately fond of Purdey!